Born Alexcia Shepherd, Alexcia is the second of three children. Though she is originally a shy girl from Lithonia GA., Alexcia shined in sports and grinded through the constant adversities that came with school, relationships, and meeting her family and friend’s expectations. However, it was these adversities that prompted Alexcia to dive deeper and deeper into music, a creative space that would forever change Alexcia Shepherd into Alexcia Monique. Alexcia Monique’s soft yet aggressive voice began to captivate her parents and peers at 12 years old; while recording in her father’s basement studio. However, she truly blossomed as a singer and writer on the campus of Benedict College. Quickly establishing herself as a force at Apollo and BET formatted campus events, she earned a space as the official National Anthem vocalist for games. Fueled by rising fans, Alexicia began reaching her tipping point and breaking out of her shell. She championed the principles of strength, respect, independence, loyalty, and honesty and layered them in her music. Fast forward a few short years and Alexia’s captivating talent has grown into an undeniable surge of superstar potential. It was this superstar potential that caught the attention of Hit producer Jazzy Pha, who is responsible for hits with artist like TI, Ciara, Outkast, Birdman, Nelly and Yo Gotti, to name a few. 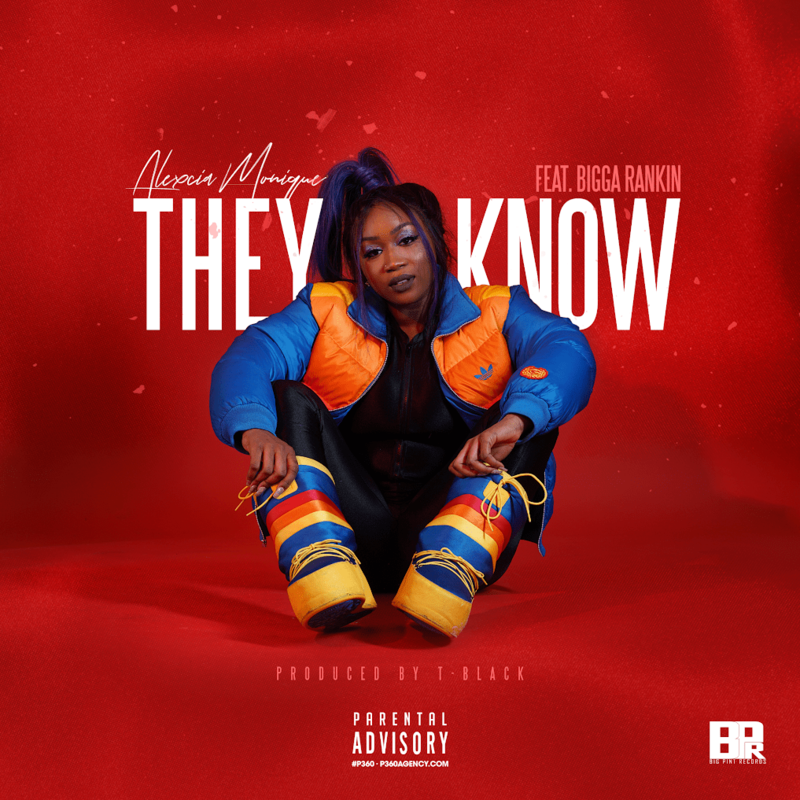 Now Alexcia joins the ranks of these greats with her new smash single “THEY KNOW” Featuring Bigga Rankin (Produced by T-Black). Stamped by elite music producers and moguls, Alexcia is breaking loose, taking control of her life and is determined to inspire others to follow their bliss. Invigorated by life’s adversities and uncertainty, Alexcia boldly proclaims herself the “Boss of Me.” A mantra for all individuals battling opinions, expectations, and negative energy while in search for empowerment and identity. After listening to Alexia’s impressive musical compilations, it is obvious that this once shy school athlete is on her way to awards, tours, #1 records, the hall of fame, and to infinity and beyond.